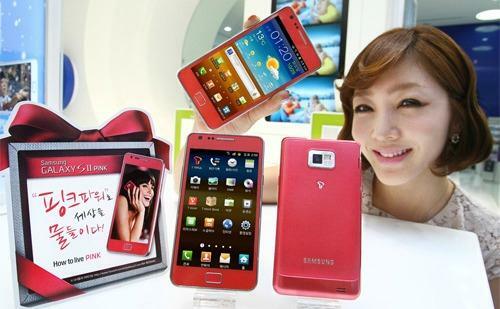 Samsung Galaxy S II in pink is already available for purchase in South Korea and is now coming to UK. Expansys UK announced that this pink variant is officially called 'rose' in colour will be available for purchase in the "week commencing February 13" for £439.99. Specs-wise nothing has changed- it features 4.27 inch Super AMOLED Plus screen, a 1.2GHz dual-core processor, an 8MP camera, 16GB of internal storage plus microSD card slot, and the Android 2.3 (Gingerbread) software which will receive ICS Android 4.0 in Q1 2012. Are you giving this pink Samsung Galaxy S II to your valentine?